It didn’t take British newcomer Stuart Ward long to find himself center stage as Guy in the Tony Award-winning musical Once. Soon after kicking off the show’s West End premiere as an understudy, the actor was tapped to lead the American national tour. Having studied guitar since the age of 12, Ward feels more than prepared to serve as the heart of this romantic musical based on the 2006 film. Below, Ward opens up about watching the movie on repeat, chemistry with his leading Girl and his folk rock inspirations. Once is a big hit on Broadway and the West End. Are you excited about starring in the American national tour? I feel really lucky. I’m looking forward to seeing so many amazing cities whilst on the road. For those who haven't seen the musical yet, how does it compare to the movie? The core story is the same, but some characters have been brought to life more than in the film. For instance, Billy, the music shop owner, is a pretty small role in the film, but in the show he’s a much bigger character. The movie is great; I remember instantly falling in love with it when it came out and watching it over and over again. I think seeing the story right in front of you and hearing the music live is what makes the stage show so special. The character of Guy seems able to express what’s brewing inside him only through music. As an actor, is that relatable? I wouldn’t say as an actor, but most definitely as a person. Whatever is brewing inside me often comes out in the songs I write. I think it’s a great way to channel your thoughts, but at the same time, you’ve got to be ready and willing to revisit those thoughts every time you perform the song. Guy holds onto a lot of emotion in this show. How does that play out for the character? He’s a passionate guy with a lot to give, but he’s so closed off that he can only really express himself with bursts of emotion in these explosive songs. At the start of the show, he’s shut down and refuses to open up to anyone, but when Girl comes along, he may have met his match. What was it like being part of the West End production? I joined the West End cast as an understudy a couple of weeks before the premiere, so I was more an observer. The party was pretty awesome, though. Have you always been a musician, or did you have to learn guitar for this role? I’ve played guitar since I was 12. I don’t think it’s the kind of role you could learn guitar for, as some of the parts are quite tricky. It would be a bit like getting a part in Cats and then learning how to dance. I’ve worked quite a bit as a guitarist, most recently as Sir Cliff Richard's rhythm guitarist. No one seems to know who Sir Cliff Richard is over here, which, as an Englishman, is quite surreal to me. Playing the Sydney Opera House with Cliff last February was one of my career highlights. There are times during the show when every actor is playing, dancing and singing together. What’s it like to be part of this intimate band on stage? It’s unbelievably uplifting and inspiring. Musically, the group dynamic has shifted so much. When we first started, everyone had a tendency to just thrash out their part as loudly as possible, but the more we play together, the more we learn each other's nuances, listen to each other and know when to take a back seat. Do you have a natural affinity for this kind of music? I love folk music. Traditional Irish folk music was always played at family parties when I was a lad, so I find playing the folk songs in the preshow very nostalgic. Otherwise, I listen to a lot of acoustic-guitar-based music. I’d say the most frequently played music on my iPod is James Taylor, Foy Vance, Ben Howard, Joni Mitchell, Nickel Creek and Jeff Buckley. I’m a massive fan of Jeff Buckley and pretty much learned to sing by copying him. As Guy and Girl, you and Dani De Waal are so connected. What’s it like working together so closely? Dani is truly amazing. She brings a quality to the part that I don’t even know how to describe. But whatever it is, its fantastic to play off. I was feeling a little apprehensive about who would be opposite me, as a huge chunk of my part is played opposite Girl. Dani is a gift, and I’m really excited to see how we develop together throughout the tour. What is it like to tell this love story, which has an unexpected ending? I love telling this story, as there are so many layers to it. I’m still discovering things, even after doing it so many times in London. To some, it is a love story; the true romantic would probably see it as a tragedy. But real love isn’t easy and is often extremely complicated. I’d say Once is a story that isn’t afraid to understand the complexities of love, nor shy away from them. 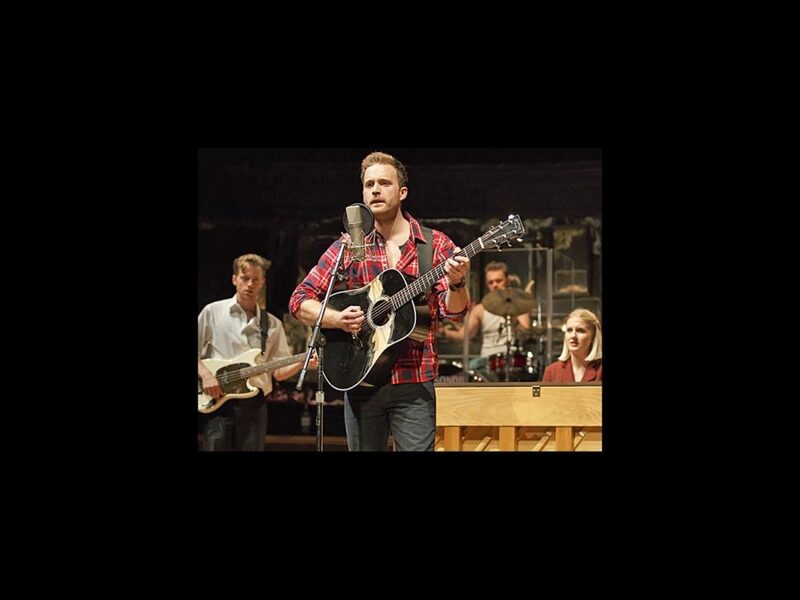 See Ward in Once when the national tour comes to your city.